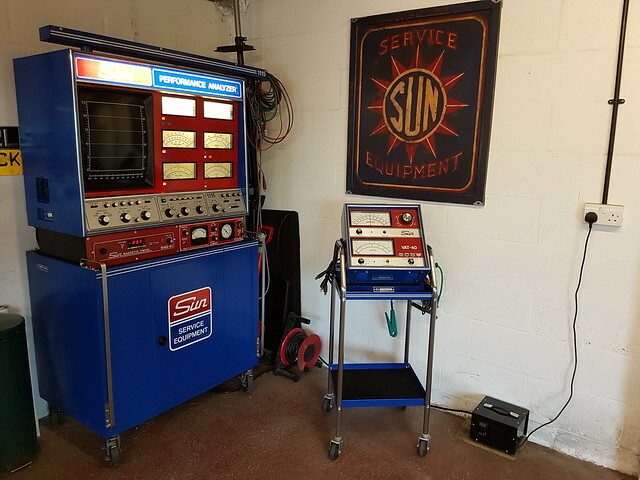 My dad used Sun engine analysers at his garage in the 60's and 70's, one of my jobs as a lad was hooking up every car during its service and listening as he explained what he was looking for on the scope and gauges. Laterally as solid state ignition systems and ECUs became the norm' the old analyser saw far less frequent use. 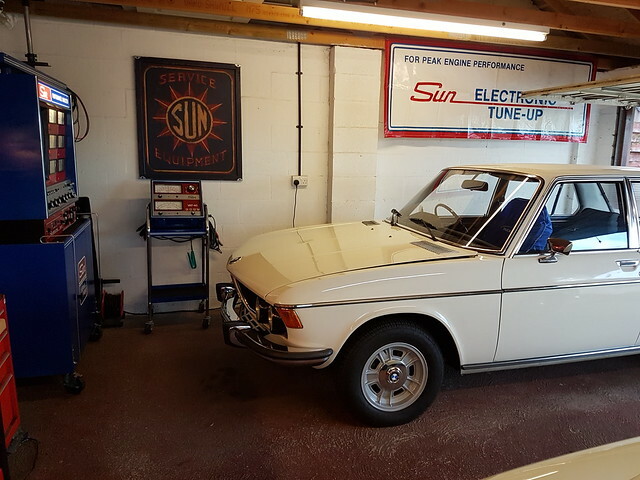 So as yet another mid-life nostalgia trip I decided to equip my own garage with some period Sun equipment. The odd knackered unit comes up on ebay over here but I wanted something that was fully operational so I made contact with a guy in the States who overhauls old Sun equipment as a business, having worked for Sun during the 70's and 80's. 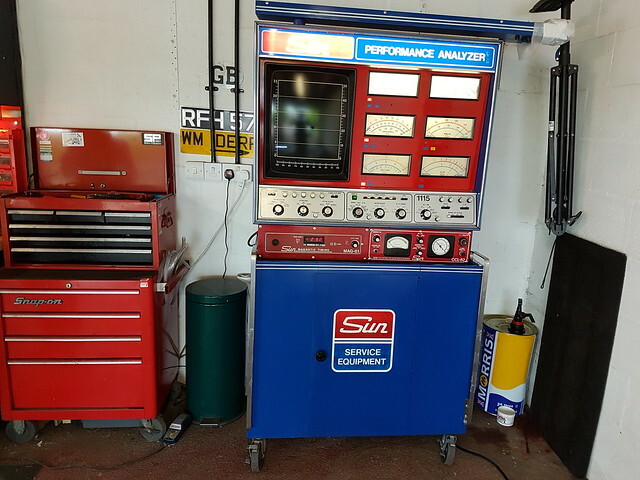 He had a recently acquired Sun 1115 Performance Analyzer (c.1978) that had spent its life in a technical college so had been pretty well looked after. That said it was stripped down and given a full overhaul. 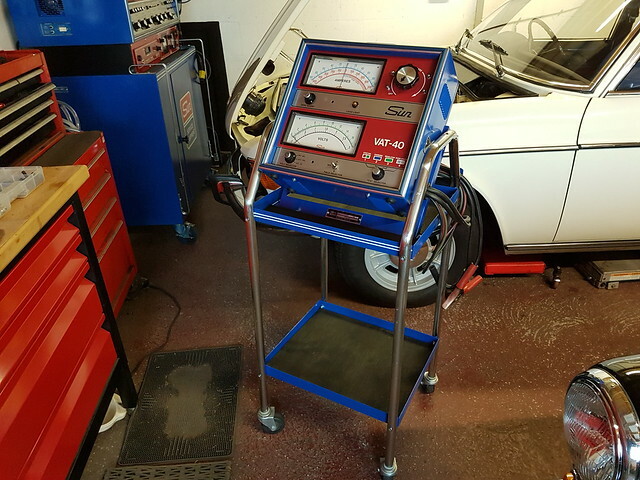 In addition to the usual functions (tach/dwell/volts/amps/ohms/timing strobe) it also has HC & CO gas analyser, coil & condenser tester and a digital timing unit (looks good but really only of use on certain American cars with magnetic timing pickup). Fair enough you can no doubt cover most of the functionality these days with a laptop and multimeter but where's the fun in that ?. I wanted period equipment. In addition he supplied a VAT40 tester that covers testing the starting and charging systems including maximum load testing both using the carbon pile function. I've already been able to diagnose a couple of ignition faults on my cars using the scope that would have otherwise required the hit or miss approach of changing out parts until the fault is resolved. 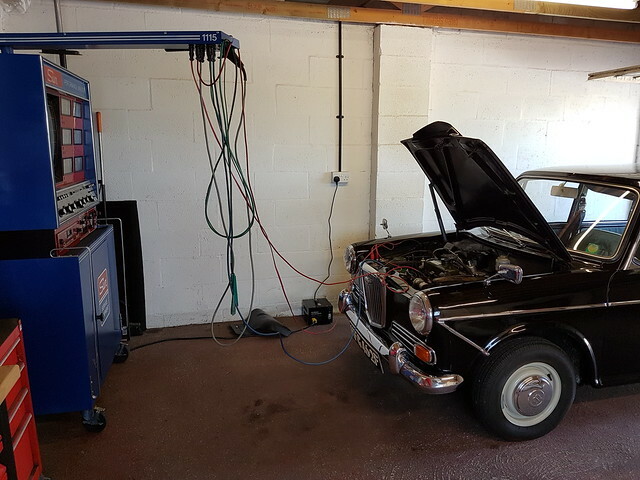 I am hoping in the future to offer this service to other classic owners as there aren't many garages around who can't or won't look at a car unless you can plug in a laptop or code reader. The scope alone can tell you so much about the ignition/carburation/compression condition of the engine, it's still as relevant today as it was back when just about every garage had this type of equipment. At the lock-ups were I keep one of my cars a bloke a couple of garages down has one of those big Sun testers in the back. I've never seen him use it but he says its all working. 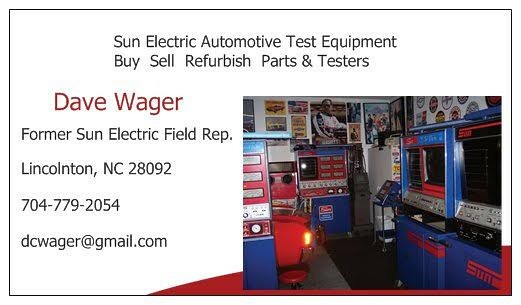 The guy i worked for as a young lad still has a Sun machine in his garage, it was working, when i worked there in the 80's and i am sure it will still work now. He is a right hoarder lol. I've been looking for a VAT40 herein the states for a while now with nosuccess any chance of alink to your guy? maybe he can helpme with that we stilluse all our sun diagnostic equipment here at the collection/museum great for our 70plus yesrold cars trydiagnosing a missfire on a buick straight8 without it you can but far quicker with the right kit!! He's in North Carolina. I'm pretty sure he has VAT40 units in stock. Mention that i passed his details to you.